Charmeuse Scarf in Two Grey Hills pattern. 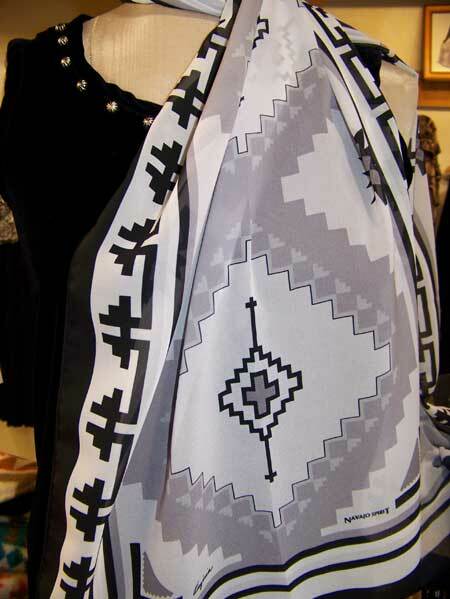 Designed by Navajo fashion designer Virgina Yazzzie-Ballenger, Fabric: Polyester Size: 16" x 68" Navajo Spirit original scarves are designed in New Mexico, and made in USA..
Charmeuse Scarf in Two Grey Hills pattern. 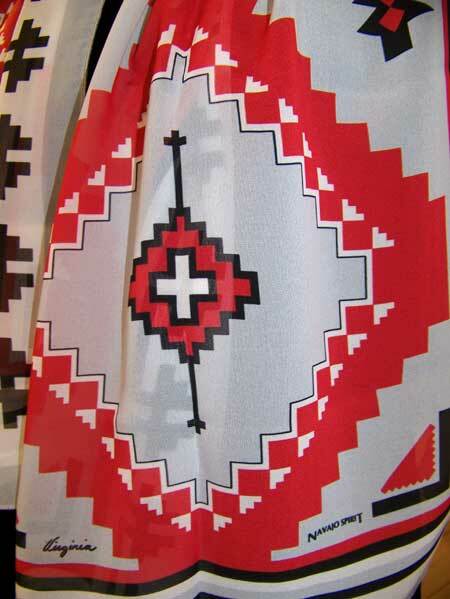 Designed by Navajo fashion designer Virgina Yazzzie-Ballenger. Striking grey and black print to brighten up your blouse. Lightweight and so comfortable. 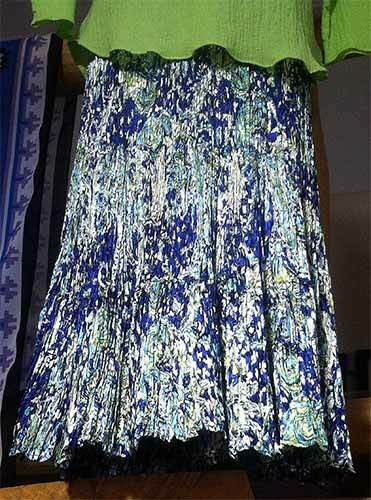 Great accent for your wardrobe. Size: 68" long x..
Charmeuse Scarf in Two Grey Hills pattern. 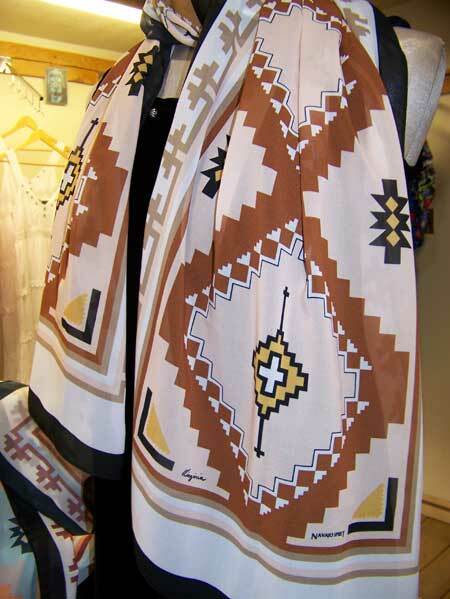 Designed by Navajo fashion designer Virgina Yazzzie-Ballenger, Fabric: Poly-chiffon Size: 16" x 68" Navajo Spirit original scarves are designed in New Mexico, and made in USA. ..
Two Grey Hills Scarf .... 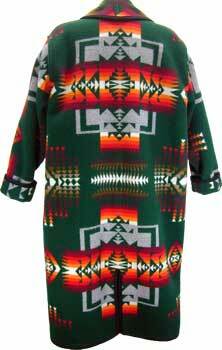 Southwestern style. Charmeuse Scarf in Two Grey Hills pattern. 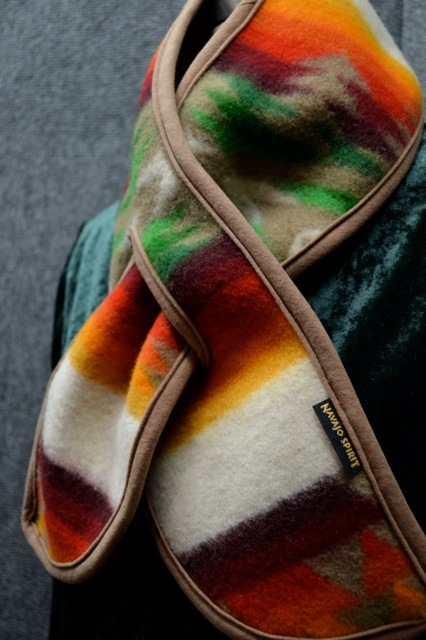 Designed by Navajo fashion designer Virgina Yazzzie-Ballenger, Fabric: Polyester Size: 16" x 68" Navajo Spirit original scarves are desi..